Escape the hustle & bustle of city life and come west, where nothing changes, but time. De-stress and immerse yourself in Achill Island, take a stroll on one of 12 beaches that take in this magnificent island. Hike a mountain or a hill, Take a walk on one of the many listed and marked loop walks, visit the highest sea cliffs in Europe. Discover the deserted village, Grace O Malleys castle, Megalithic tomb or visit one of the many pubs or restaurants and sample some amazing local cuisine or beers. The Achill People of the Year Awards were held last Friday 24th in Óstan Oileann Acla. A great night was had by all. Caoimhe Cafferkey, Achill Sound was first to receive an award on the night. She was named Young Person of the Year 2017. Caoimhe was born in 2010 with a rare condition called Bladder Extrophy and regularly attends Great Ormand Street in London. She continually stays strong and positive and an inspiration to all. Seán Molloy, Dooagh received an award for his contribution to sport in Achill and for establishing the Achill Sports Network. Seán was on holiday at the time of the event, Vincent English received the award on his behalf. Marty Gallagher, Valley received an award for all the work he does within the community. He is always available to lend a hand at all local sporting events. He holds a weekly whist game with all money raised going to local charities. Marty said while raising funds for local charities is important, the weekly whist night is a great social night for all who attend. Ken Quinn, Achill Sound was named Volunteer of the Year for his contribution to the Achill Boxing Club. Ken's honesty, enthusiasm, positivity and never give up attitude knows no bounds. He set up and runs the club like a fine Swiss watch and because of him Achill Boxing Club goes from strength to strength. Mary McGing Vesey, Valley was awarded Carer of the Year. Caring for anybody is singly the greatest task of all. It doesn't run Monday-Friday, 9-5. It's 24/7. It is often the case carers don't see the significance of their role but without carers like Mary in the community, Achill wouldn't be the place it is today. 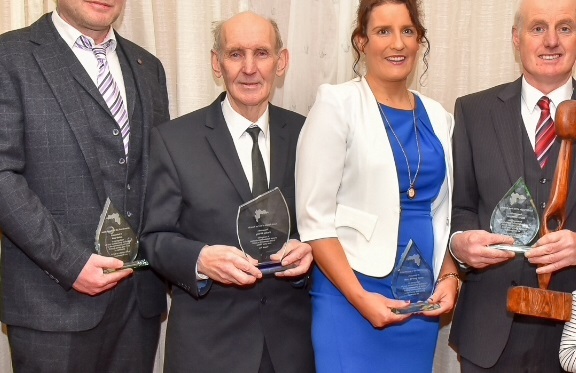 Packie McGinty, Springdale was presented with a Lifetime Recognition Award for his commitment to Achill GAA. Packie goes above and beyond what is expected. He has held the role of Achill GAA Club Vice-President as well as having held the position of Chairman for many years. His service to Mayo football was recognised in 2011 when he was appointed to the position of Mayo County Board President. In 2015 he along with his brother Hughie, received a Volunteers of the Year Award for Mayo. It's not all about the game either, Packie has been instrumental in developing the pitch, with the installation of an extensive drainage system and state of the art floodlighting. Today it stands as testament to Packie, Achill has a club and pitch to be proud of. The final award of the night went to Marty Gallagher, Valley who was named as Achill Person of the Year 2017 which was presented to him by Ann Carroll Cattigan, the Achill Person of the Year 2016. All other awards were presented by Liam Kelly of Liam Kelly, Achill Bogwood. Vincent English who organised the night said it was a great night to acknowledge those among us who work tirelessly, yet never seek recognition or thanks. 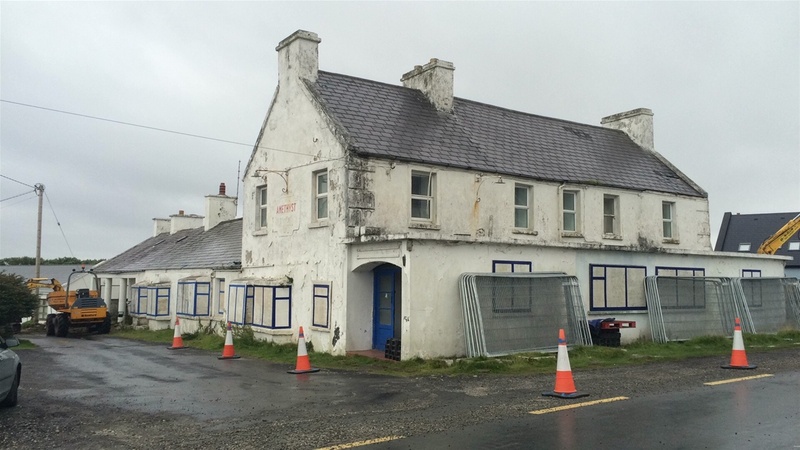 It's an opportunity for the people of Achill to say Thank you for all they do. Without them we wouldn't have the community we have today. Last year was the first People of the Year Awards and judging by the attendance I seen here tonight it is going from strength to strength. Ultimately I would like to see a funding system established where nights like this can draw from and any money raised in Achill will be invested in Achill. I would also like to thank all those who nominated people that didn't get an award on the night, places are limited so please, keep nominating them, they will get the recognition they deserve. I would also like to thank all the premises who held the nomination forms. A special word of thanks to Cathal & the staff of Óstan Oileann Acla for hosting the event. The food, presentation and service was 10 out of 10. Plans are already in place for the 3rd Achill People of the Year Awards to be held in December in Óstan Oileann Acla. Anyone wishing to help out with the organisation of the event please get in touch. All pictures taken by Mark Chaddock, Shraheens. 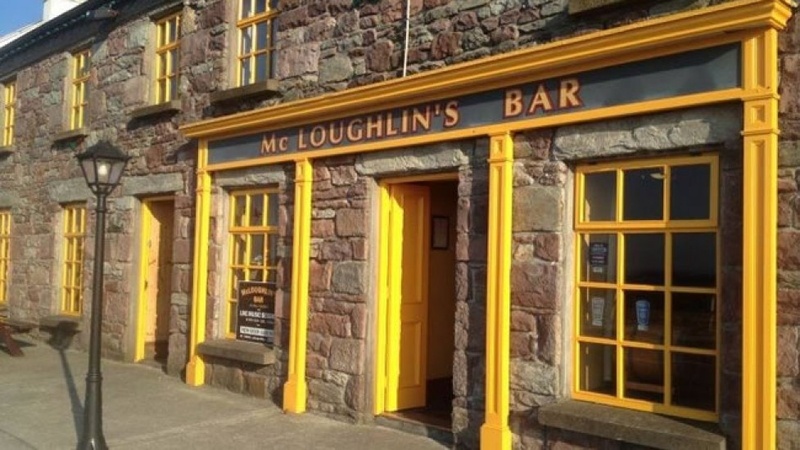 Congratulations to the management and staff of McLoughlin's Bar, Achill Sound for recieving this prestigous title of being named 'Achill's favourite pub 2016'. 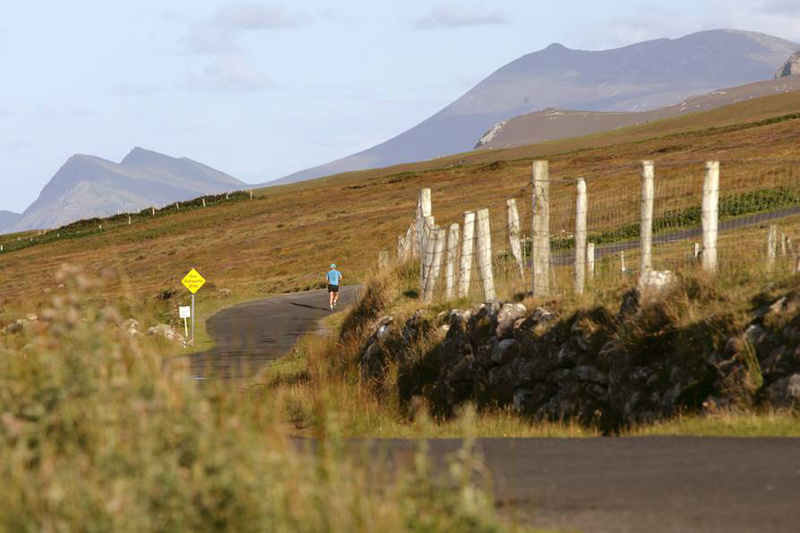 Voting was carried out over the past week on our facebook page, Achill.ie. It was an overwhelming response and a close fought contest but in the end McLoughlin's emerged victorious with 1/3 of all votes going in their favour.